Did you know I'm a Jammie Girl???? With the exception of slippers ( I am Bare feet all the way!) and having to put clothes on to go to work, I could live in Jammies! And the Bare feet thing??? Well apparently that has been going on forever. My mother used to have to send out a search party for my shoes from the time that I was a toddler. Seldom did a day go by, where I actually arrived home without naked toes!!! See, a true free spirit!!! Mom should be thankful that I didn't give her Bra issues!!! I am not usually in the door for five minutes before I have dropped my laundry for more favourable attire!!! My Favourites: Sponge Bob, Black Pants with the Red Tongues from the Rolling Stones (Ohhhhh I'm dating myself again) and of course the Ever Famous BETTY BOOP!!!!! Like this little Jammie Bella, I also have a few Teddy Bears. Although I have pared down my Collection over the years, I still have several of my favourite stuffies. I am partial to Boyds Bears and Gund as well as the little Boyd's Bear figurines. I am not much of a collector of anything these days (well Stamps I suppose! ), but every once in a while I will catch a Teddy Bear out of the corner of my eye that is pleading for a home. 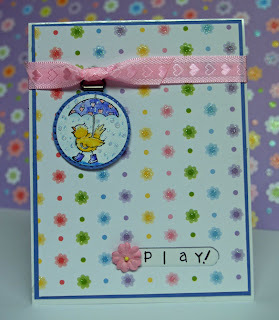 The background for this card was created with the Petals and Paisley stamp set available in the Spring Catalogue. Don't Orange and Pink Passion make a cool and cheerful combination? 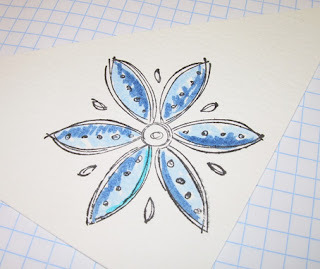 The white and orange patterned paper was made with the Petals Wheel. Well, gotta go and get out of my Jammies (sigh!) and head to work! Tagged by the "Bad" one!!!!! This is a new game of tag. Let me know your one word answers. You can link back here in the comments, so I can check them out! After creating the "Wild" card, I couldn't seem to get enough of this colour combination.......so I was stuck in a "rust"! Both cards use Bodacious Bouquet for the background pattern. The main images are from Stamping Bella . Aren't they both just "Beachy"????? Now hopefully THAT narration wasn't enough to scare you all away for good!!!!!! I thought I had a great brainwave when I was thinking about designing the Cruiseabella card, originally intended to be a Cammie Tri-fold Slit Punch Card , I ran out of room to make a window, but alas!! Stay tuned, I am going to try to give it another go this week!!!!! I do have a neat idea, I think I will just have to change the dimensions accurately capture the idea!!! 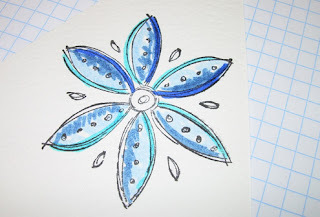 Both images were coloured with aquapainters and markers and embellished with Prima Flowers! This morning I was sorting paper and these two colours happened to be laying on top of each other. I thought that they would make a very cool colour combination and it got me thinking "Tropical"! 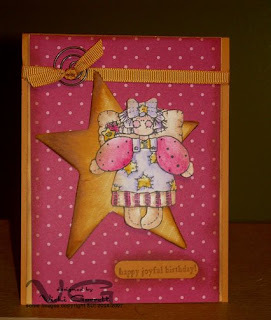 The background for this card was made with the Bodacious Bouquet Stamp set by stamping tone on tone. The main image comes from the Wild about you set. To reverse the Giraffe on the left, I stamped the image onto the paisley background stamp and then stamped onto the paper. Stamped the other Giraffe the regular way!!! Adding some Black CS to make the colours pop I then brought the black back in with a band to suspend the tiny prima flowers. I used copper brads in the middle to recreate the "rusty" look. The sentiment comes from the small sayings set, which was in the winter catalogue. I am really hoping that it becomes part of the new collection, because I use it constantly. Doodles and the outline on the Giraffes were created with a black Stampin' Write Marker. Before too long (June 30th) the Spring Mini Catalogue will retire and it is very possible that the Doodle series of stamp sets (Doodle This, Doodle That and Doodle Alphabet) will not make it into the new Catalogue (although I am crossing my fingers that they do!!!) This card was created using a Saffron Long note (spring catty) and inspired by this card designed by Ked. I used Doodle This and Doodle That to created my background and coloured sections of the doodles in with my white gel pen. 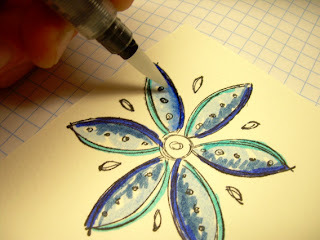 I then stamped the large flower from Doodle This onto Saffron Paper, sponged a little Summer Sun and Pumpkin to the edges before cutting it out. I stamped and clipped a second image in Chocolate Chip. Adding a dash of glitter, sentiments layered on AuChocolat Designer Paper (aren't these oval punches great??) and some ribbon, the card was complete!!! How do you like my new backdrop for my cards??? Found a perfect branch in our flowering crap tree to capture a picture in perfect light!!! Hope you are all having a great weekend!!!!!! 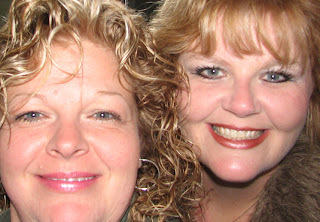 Today one of my BFF, Laura turns 40. 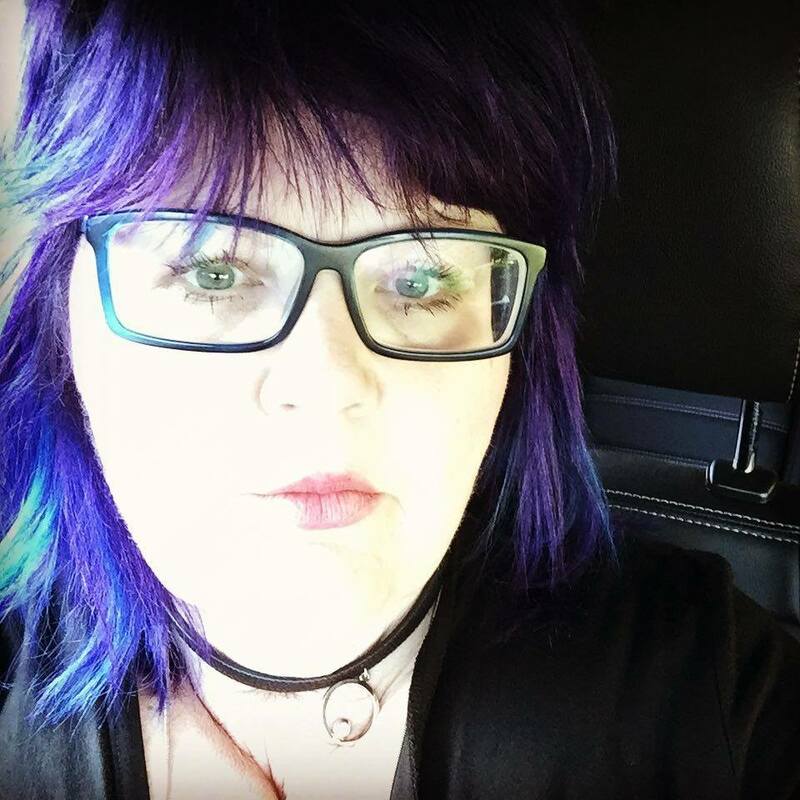 She is a Beautiful and Phenomenal Person and I want the world (well, my blog followers anyway) to wish her all the best today and in the future. We have had quite a few fun adventures together; laughed, laughed harder, shed some tears. Although we have only been friends for a few years now, it feels like I have known her forever! I feel so comfortable around her; I can totally be myself and have no worries about what she thinks. Laura likes to think that she is the sweet and innocent one, but I don't know about that!!! I think we both have the potential for getting into a little mischeif!!! with me. Now THAT kept her on her toes! Love you Laura! Hope you have a wonderful day and that the next year sees your dream board come true and that you receive all the love and happiness you so deserve!!!!!! 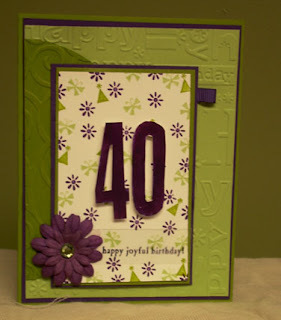 Laura's Birthday card was created with the small sayings stampset as well as the headline numbers. A combination of Eggplant Envy, Certainly Celery and Old Olive make for a springy colour combination (and of course the colour challenge on SCS yesterday!). 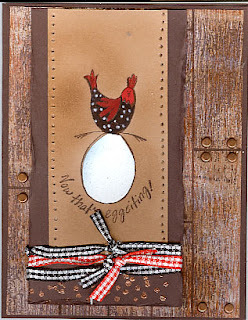 The sentiment was stamped on acetate and layered over the custom stamped background. 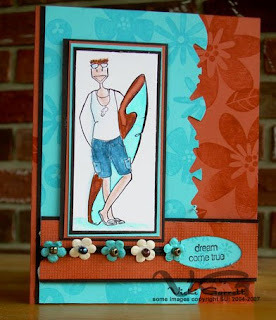 This was a fun fun card that I created for a monochromatic colour challenge on SCS. Isn't the background paper fabulous!!!! There was little work to do on this card. I didn't want to cover up too much of the pretty pattern, so the Small flower from SU! Heartfelt thanks worked really really well. I stamped the image in Going Gray, the outline in black. The "splotching" on the frame was created with the art tool. A little piercing to the corners, some grosgrain ribbon and a little dollar store charm and it was completed in a flash!!!!!!!! I am the first to admit, I am TOTALLY addicted to patterned paper. 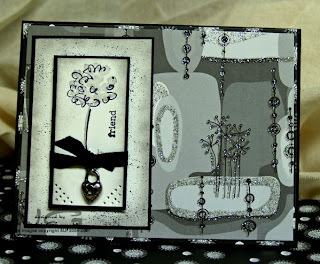 Stampin' Up!, Basic Grey, SEI, Crate Paper. You name it, I probably have quite a stash tucked away in my cupboard. 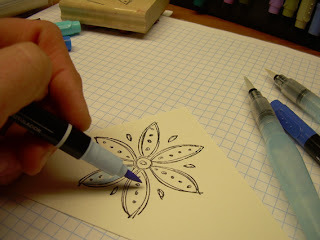 That being said, there are so many terrific ways to create your own patterned cardstock with your stamps. The beauty of purchasing stamp sets is that you can create beautiful backgrounds that coordinate with your main images. Another advantage to designing a custom background is that you can get a perfect match for your cardstock. 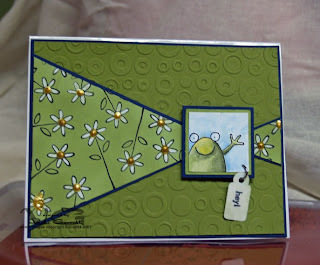 The Background for my Happy Froggy card was created by randomly stamping the Daisy from the Stampin' Up! 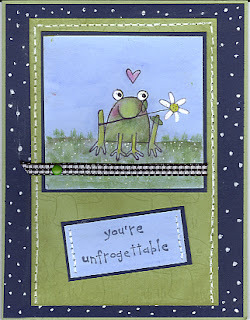 Unfrogettable set onto celery Cardstock. I sponged celery ink over top to add a little more depth to the paper. 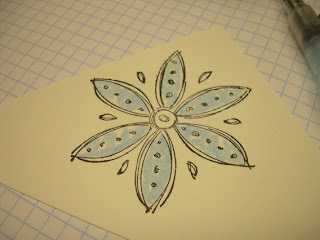 Using the White Gel Pen, I coloured in the petals of the daisy. I created the golden yellow centers with Adirondack Acrylics. 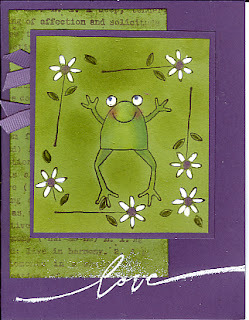 The frog was coloured with Stampin' Write Markers and an aquapainter. If it's going to keep on raining, you might as well play!!!!! I seem to be stuck on a weather theme lately. It seems that the sun only warms us long enough to tease. Today it was only 8 degrees celcius. I had to switch from Sandals and Crop pants to a Wool Turtleneck. I still can't seem to get the chill out of my bones. This little duckie seems to be enjoying a gentle rain. I have been holding on to this incentive stamp for quite some time. 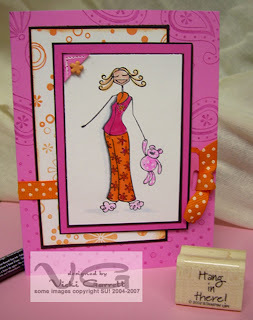 The challenge of the day on SCS was to create a card with a small stamp or incentive stamp. This little guy immediately came to mind. 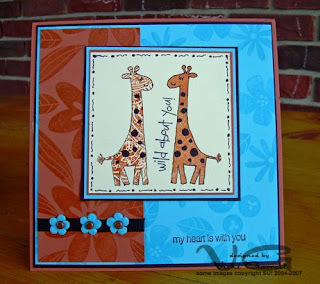 Sentiment is stamped with Karen Foster Snap Stamps. Designer paper is from the DCWV Glitter Stack. All other Cardstock (Brocade Blue, Glossy White and Whisper White) is from SU!!!! Accents of Ribbon (unknown) and Prima flowers add dimension. The Tag is anchored down with Pewter Hodgepodge Hardware from SU! The raindrops are created with stickles!!! We have had two dreary days now and I am sure that these gray days can take their toll on ones mood. I have been meeting my neighbour for a brisk walk at 6 a.m. each morning, so I usually get up around 5:45. The last two mornings, my alarm has not went off and I have awakened at precisely 6:02 (a grand way to get your heart rate up in record time!!!). What is very unusual is that last night I specifically checked my alarm clock to ensure that all was working and that the volume setting on the radio that at the minimal when activated should have caught the attention of EVERYONE in the house (giggle!). Lo and behold, when I opened my heavy eyelids this morning, the clock reads 6:02. Leaping from my bed in a single bound, I dashed to the back door to check the weather. Initially I breathed a big sigh of relief to see the rain this morning, but as I am sitting here composing this post, I am realizing how much more energy I would have if was a sunny day and I had already been "working it" for an hour. Now, I KNOW I checked that alarm last night.......hmmm makes me wonder why the volume was turned right down the last two days. Is it that my DS is hoping that I'll sleep the morning away so that he can have a day off, or is it particularly sensitive to not disturbing it's owners on a rainy day??? Whatcha think of my little pirate????? I resisted this set (SU! 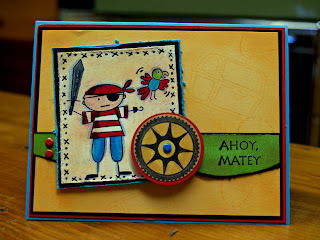 Ahoy Matey) for the Longest time, but after seeing so many fabulous samples, I could resist no more!!!!! I made this card using Apricot, Turquoise, Green Galore and Real Red Cardstock (a slight modification from the SCS colour challenge yesterday as evidently I missed the "rose" in front of the red!). 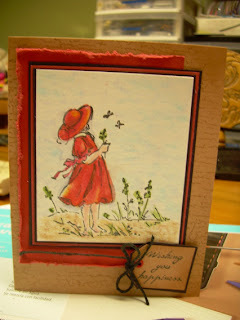 The image was stamped on whisper white, coloured in with the Stampin' Write markers and the borders was doodled in. I then sponged over the image with apricot. Using the "gear" stamp from it's about time, I created the Ships Wheel. I did a little caramel sponging to the green band to tone it down a bit and added texture with the cheesecloth background stamp. I think I will have a lot of fun with this set! Do you have some older images kicking around your cupboards??? 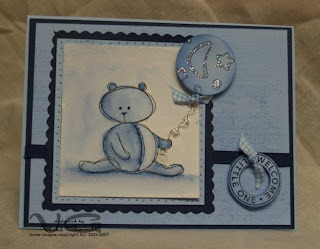 Take the challenge to make a card that will showcase those stamps in a new way!!!! I am not sure where the image hails from, but don't you just LOVE this new Designer Paper? 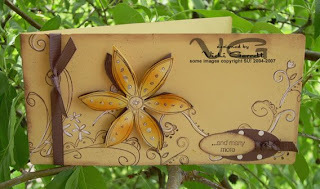 This comes from the Pallette of Prints Paper by Stampin' up!!! Check out my SU! website to find out how you can take advantage of this paper through a special offer that is being held until the end of the month. The Chipboard Star is from SU! and is covered with Saffron designer paper. Ribbon and Clip are also from SU! 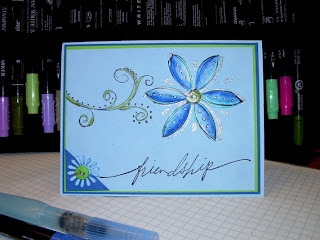 It was SO exciting to share my passion for Stamping with many of my fellow demonstrators. We were also afforded the excellent opportunity of listening to the inspiring words of Jen Bailey, a Stampin' Up! Rising Star who shared many of her excellent ideas on how to build a successful Stampin' Up! Business. Can't wait to share some of her tips with my group! 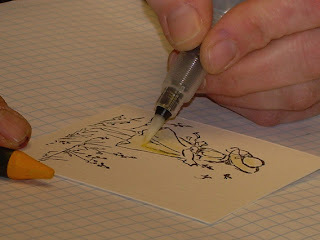 I also able to meet another Splitcoaststamper and fellow demonstrator, Anne-Marie. We had so much fun and it was great to put a face to a person that I had been corresponding with for some time. 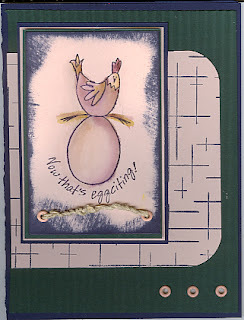 Check out AM's Gallery to view some very pretty cards and clever ideas!!!! 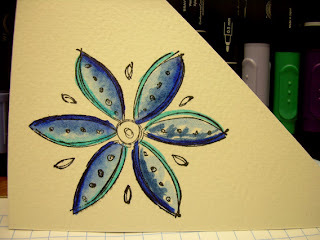 I was very happy to share some basic design tips for card making and scrapbooking as well as demonstrating two methods of watercolouring. As I promised, here is the First of two watercolour techniques. 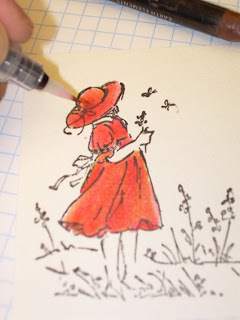 I choose this method of Watercolouring when I want to work more quickly and achieve a deep concentration of colours and generally when I am working with the same hue of colours. 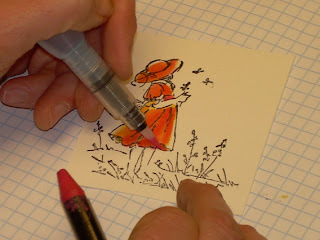 Stamp your image with Stayzon on Watercolour Paper or White Cardstock. Let image set for a minute. Using your lightest hue of colour, fully fill in the areas that you wish to cover. 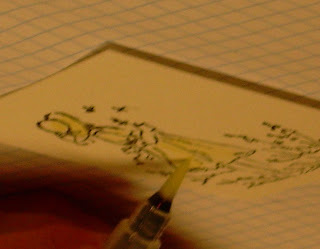 “Scribble” in a darker value of the colour, keeping the dark areas to the same side-shadows and highlights generally are on the opposite sides. Continue to add in darker and lighter or brighter values of colour. Remember that as you increase the depth of colour, the area of coverage will become smaller. Using a damp Aquapainter, gently blend out your colours, pulling the dark into the lighter area. 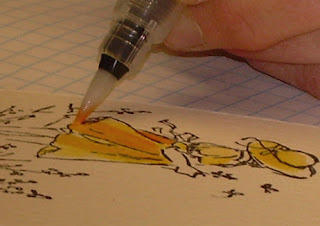 Use a paper towel to remove the excess colour as you are blending. Clean your aquapainter and blend the light across into the dark areas. Continue with the process until you have fully blended the colours in the image. I LOVE my Watercolor Wonder Crayons!!!! The advantages of using the Watercolor Wonder crayons to colour images are vast, but for me the opacity that you can achieve with this medium allows for the applications of layering colour, painting on coloured cardstock and achieving crisp highlights through the removal of colour. 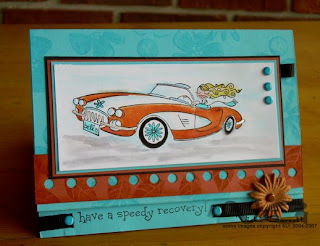 Teamed up with Stampin’ Up’s! Aquapainters, you are able to create vibrant images. Wait a minute or two for your ink to set. Rich colour can be achieved through a process of layering colour. Working from light to dark, build your layers of colour accordingly. If you are looking for a warm colour finish (Red, Brown, Green, Orange) start with shades of yellow and strengthen the colour until you build to the finish colour. If you are finishing in cool colours tones, (Blue, Purple, Cool Reds) start with the lightest hue available and build from there. This example shows the building of a Warm Red Finish. Start by filling the image with a light wash of Banana. Leaving the highlighted areas (areas that would catch light if exposed-i.e. 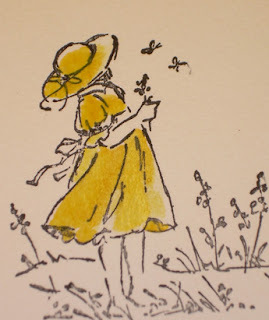 the crown of the hat, the puff of the sleeves) unpainted, choose a darker hue of yellow (summer sun) and colour in a reduced area, particularly paying attention to filling areas that would be shadow cast (Under waist bands, to the sides of strong lines etc.). Choosing a deeper strength of colour again (More Mustard) follow the principles of step three, making sure your darker colour becomes slightly less than the previous application. After adding your final colour, use your clean and fairly dry aquapainter to gently blend all of the colours together. Using a darker colour (Chocolate Chip works well with warm shades of red) Blend some colour into the Shadowed areas. “Lift” out colour from the highlighted areas, using a slightly damp aqua painter. Wipe the aquapainter on the paper towel to wipe off the colour and repeat this process until you achieve the level of highlight that you are looking for. You can blend additional highlights in by adding some of the mid point colours (example: for highlighting on red, try Mustard or Summer Sun). Be Patient-although it seems like a lengthy process, once you get the order of colours arranged, it actually works up quite quickly. Make sure that your aquapainter is not too wet. I usually work with a slightly damp brush, blotting the excess water off the brush with paper towel. 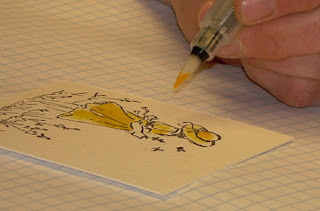 If your work become too wet on the paper, carefully blot the paper with paper towel. Wait a second or two between applications of colour to ensure that it has set. Don’t over blend; too much blending will make for muddy work. I am so EXCITED!!!! Yet, a little nervous. 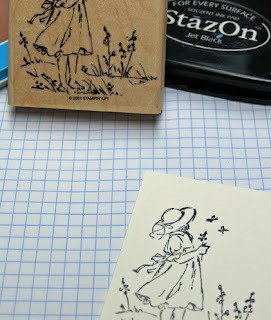 I am off to Ottawa tomorrow, where I will be attending the Stampin' Girls Convention. I have been afforded the wonderful Opportunity of doing a presentation on design and the creative side of Stampin' Up!!!! It is just fabulous to get together with so many individuals who share the same passion. Just wanted to wish you a Happy Mother's Day. If I return from the Convention in good time, I plan to post my first tutorial (keep your eyes peeled!!!!) I am really excited about sharing my watercolouring technique with you!!! 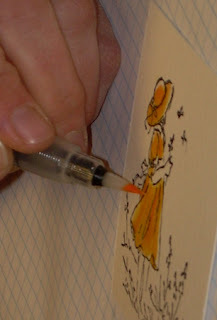 This card was watercoloured using SU! 's watercolour wonder crayons and aquapainters. 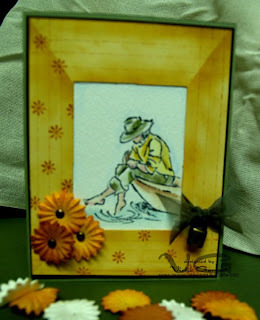 The faux frame was created by sponging ink directly to paper to create the mitered corners and shadows. The fine line work was made with a perforating tool and craft ink. The pretty flowers are from CTMH. The Brass lock was a great find at the local $$$ store. All images copyright SU! Going to Miss those Chickens!!!!! As many of you are already aware, the Stampin' UP! retirement list came out on May 1st. With over 250 sets retiring in total, I lost 90 sets, not including hostess sets and wheels. This means I am going to have one heck of a Garage Sale in July!!!!! 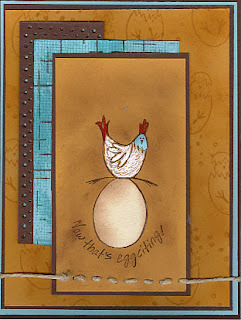 Best of Cluck is one set that I am sad to see retire.............it took me a long long time to endear myself to this set, but with all the arm twisting samples that I would view on Splitcoast, I eventually added these happy hens to my "I REALLY NEED IT" list. These are a few of the fun cards that I have created with this set...............needless to say, this is one group of gals that won't be on my sale table............not this year anyway. Although I was sad to see a few other sets go, I am waiting excitedly to see what the new SU! Catalogue will offer in July!!!!! Right now I may feel like Mother Hubbard with my near bare stamping cupboard........but I guess it's out with the old, in with the new!!!!!! Finally, we are getting some nice weather!!!!! I haven't had much of a chance to enjoy it as I have been preparing for a presentation that I am giving at the Stampin' Girls Convention in Ottawa next weekend. Today I made some time to do a little gardening. I lasted about an hour and a half, cleaning out the flower beds, turning soil etc. when it seemed that I was the main entree for the gazillions of blackflies that landed on me for a taste...........it only took one to draw blood and then I was doomed!!!!!!!! I retreated inside to do some spring cleaning. Yesterday morning while out on the deck, the tappings of this big red headed fellow drew my attention. I started to scan the trees along the property line, to no avail. 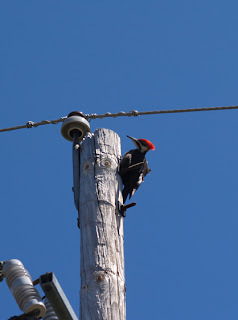 To my amazement, there he was at the top of the Hydro Pole!!! I have NEVER seen a woodpecker this size.........EVER. This guy had to be over 14" tall. I scurried as fast as I could to get my Camera and Long Lens, dashed upstairs to take several pictures and then back into the house to share my discovery with my family. Jonathon actually captured this shot, which was pretty good, considering that the pole seems to be about 100 ft tall!!! !